Assistant Secretary Evan Ryan welcomes the group on their first day in D.C. 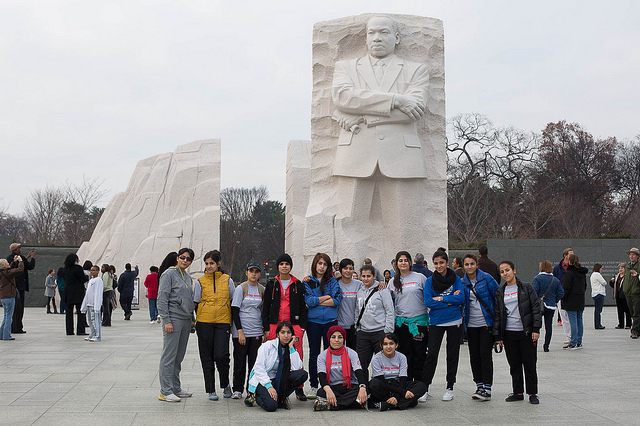 The girls visit the Dr. Martin Luther King Jr. Memorial and learn about the Civil Rights Movement in the U.S. 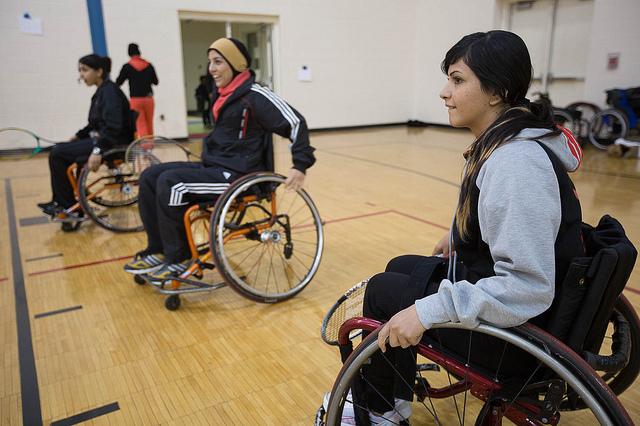 The participants from Iraq experience disability sports for their first time at D.C.’s Emery Rec Center. Team Morning Workout! Stretching out and gearing up for the game with…. The Iraqi soccer players experience volunteerism through running during a fundraiser for the earthquake victims in Haiti. The group has a chance to meet Sports Envoy and former U.S. Women’s National Team star Brandi Chastain. Iraqi players create their own t-shirts after a clinic with Sports Envoy and former U.S.Women’s National Team Olympian Cindy Parlow Cone. Who is going to get the first kick? Two Iraqi players condition prior to the game in North Carolina. Huddling up for a picture at the NCAA Semifinals! Everyone has a goal at heart. Here we celebrate teamwork at the end of the game. An Iraqi coach works with players on follow-on action plans. In the Bureau of Educational and Cultural Affairs (ECA), one of the best ways to amplify the impact of our programs comes in the reciprocal programming of our people-to-people exchanges. The December 2013 soccer exchange visitor program with Iraq proved this point. 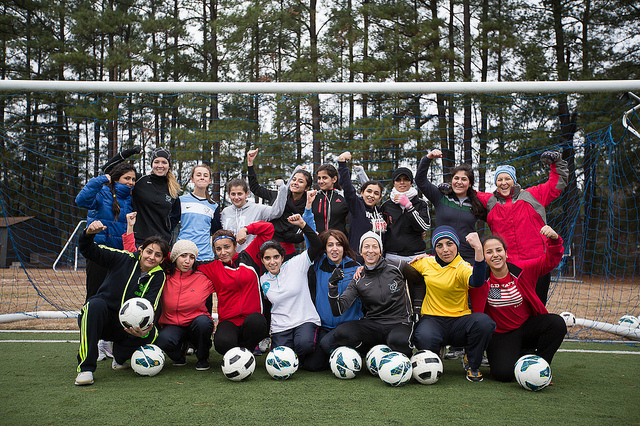 Working with our cooperative partners at the The Center for Sport, Peace, & Society, Sports Diplomacy developed this female-focused sports diplomacy program to continue the State Department’s efforts in empowering and inspiring Iraqi women and girls through sports. Under the Empowering Women and Girls through Sports Initiative, this sports diplomacy program served as a follow-up to a groundbreaking soccer envoy program hosted in Iraq earlier this year. In April, U.S. Women's National Team players Lorrie Fair and Mary Harvey went to Iraq to engage local youth and promote how sports can improve health, increase academic success, and expand one’s horizon of opportunities. Although most of the teenage girls and coaches met for the first time at the airport and came from three different cities—Baghdad, Kirkuk, and Erbil—they already acted like teammates with common visions and goals—on and off the field. During their time in Washington, D.C., the athletes experienced disability sports with local-area teams and learned about American history through the lens of women’s sports. They then traveled to Cary, North Carolina, to take part in the activities surrounding the 2013 NCAA Women's Final Four Soccer National Championships. 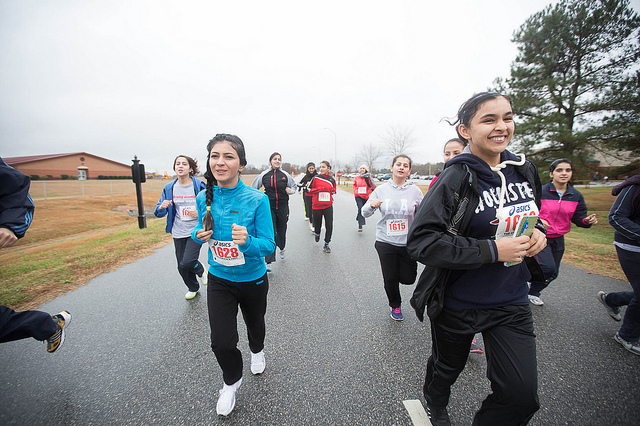 Throughout the program, they focused on the lessons of Title IX and how sports can transcend societal barriers. 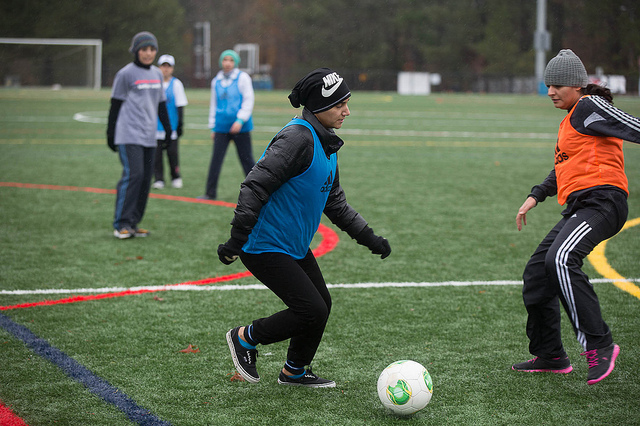 The program involved young Americans, not only for playing soccer with this Iraqi group, but so that the Iraqi and American peers could learn about one another’s culture, lives, and challenges. 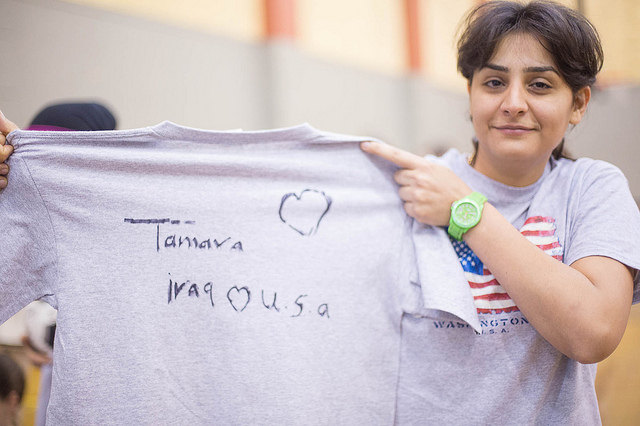 While their clinics with former U.S. Women’s National Soccer team stars were certainly highlights, the Iraqis could not stop talking about the experiences they shared with their American counterparts. This image captures the universal nature of sports and highlights the mutually positive cultural exchanges experienced by both nationalities.